Have you ever wondered where the rain goes when it falls on to the ground? If you live on the waterways and canals of Kings Bay, then the stormwater will run directly off your green grass lawns and into the water. Perhaps, you see the stormwater draining into stormwater drains to the road. Did you know that this water too will go directly to the Kings Bay? Even if you don’t live directly on the waterways, all stormwater runoff eventually ends up in the Bay. The important part that we can control as good stewards of the environment is the quality of this stormwater runoff. 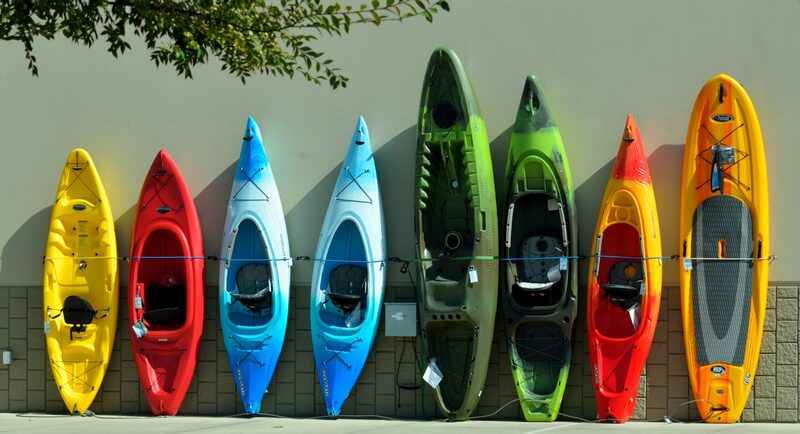 If you live near Crystal River, FL, then you live in the Kings Bay springshed. A springshed is like a watershed, but larger. A springshed accounts for all water that enters the natural environment (stormwater runoff, cleaned wastewater, and groundwater) that will flow out of the spring vents in Kings Bay. 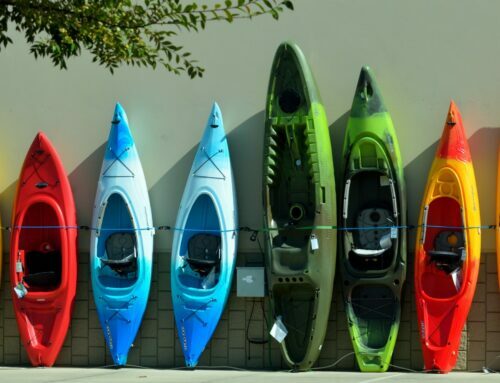 It is important that we actively seek to control the water quality of stormwater runoff as that drastically effects the water quality of Kings Bay and this is water quality that we can all actively participate in improving! 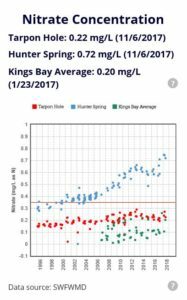 Nitrate Concentrations in Hunter Springs trends upwards compared to steady levels in Kings Bay as a whole. Nitrate levels in Kings Bay and Hunter Springs are actively tracked by the Southwest Florida Water Management District (SWFWMD.) In the picture above, we see that nitrate levels have been trending upwards over the past decade. 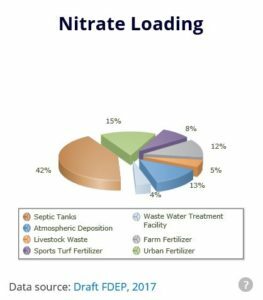 About 15% of nitrate loading to Kings Bay is attributed to urban fertilizer (Draft FDEP, 2017). Typically lawns don’t even need fertilizer. Water quality of stormwater runoff can be actively improved by all of us taking small steps. Understand that stormwater runoff on your front and back lawns will eventually end up in Kings Bay. Treat both lawns the same. 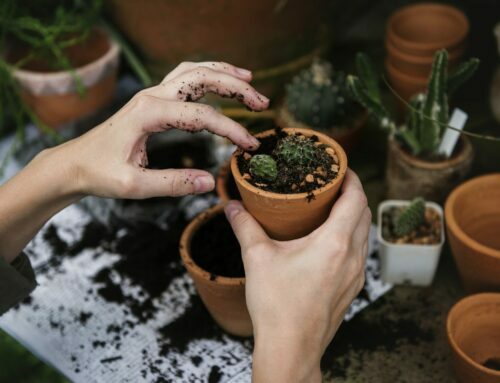 Don’t fertilize your lawns. Urban fertilizer counts towards 15% of nitrate loading (Draft FDEP, 2017). 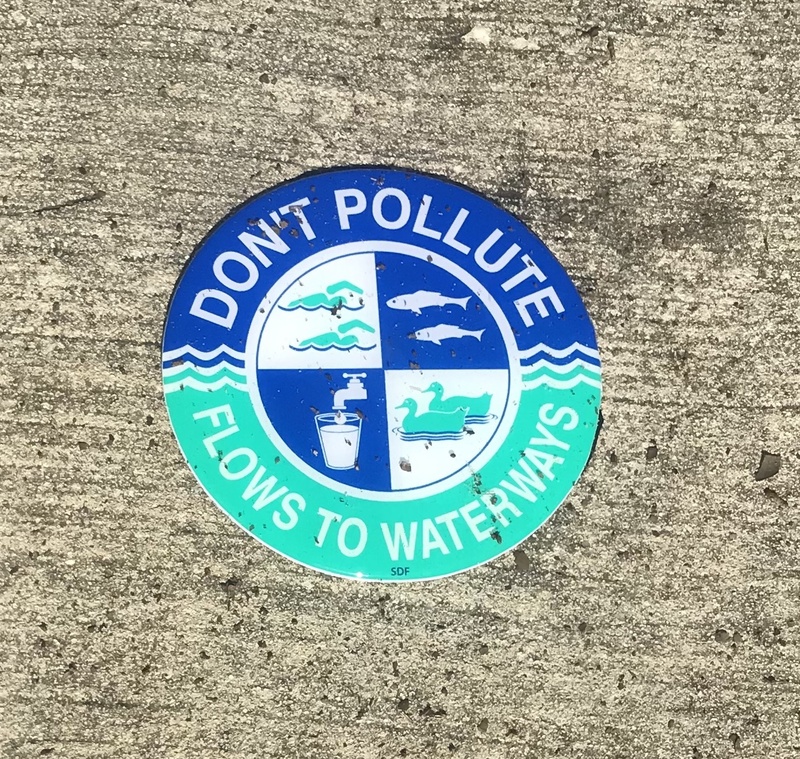 The nitrogen and phosphorus that will runoff in the stormwater can fuel the growth of algae blooms (ie Lyngbya), which creates low-oxygen dead zones that suffocate marine life. 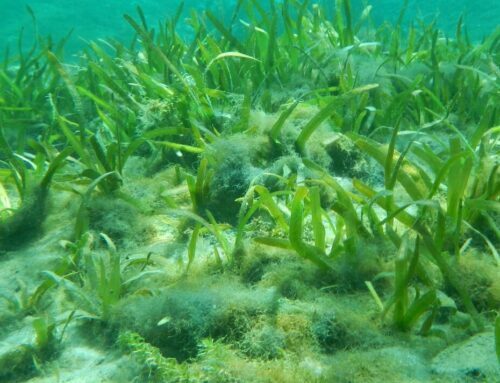 Algae blooms also reduce the sunlight that is needed by the underwater grasses. Pick up pet waste on both your front and back yards. This waste contributes to algae blooms as well. 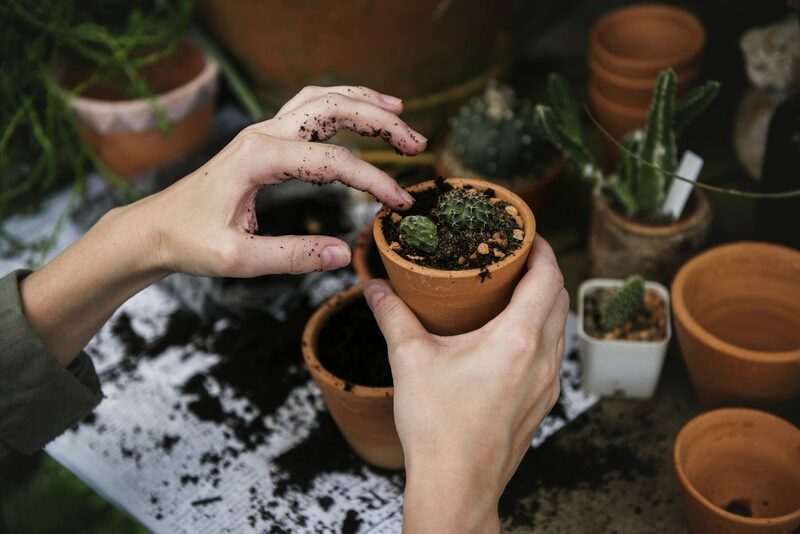 Eliminate any pesticides, leaking fuel or motor oil and other chemical contaminants that can be picked up by stormwater runoff that will go into the Bay. Chemical contaminants can harm the health of humans and wildlife. Be a steward of the environment. Pick up trash and litter that may be swept away with the stormwater. Only rain should go down the stormwater drains and into the Bay.